Laugh along with Tricky Patrick as he selects volunteers from the crowd to join him in performing tricks. Witness how he turns shredded paper into a hat, Superman’s brief or a funny boxer and make a bottle vanish into thin air! This will be followed with a special performance – ranging from storytelling sessions to dance and musical numbers – by the students of LEAP SchoolHouse, Genius R Us, Perfect Pitch and UBO Bilingual School. Award-winning magician Uncle Jimbo would then continue the fun with his special magic and puppet show to ensure you’ll be smiling the rest of the day. There will also be an additional treat for children who arrive early! 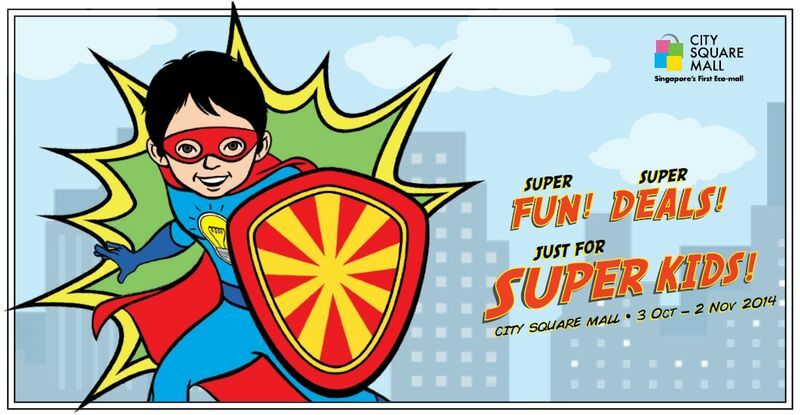 From 3pm onwards each day, City Square Mall would be giving out 100 goodie bags which includes a non-woven bag, a pair of chopsticks and an umbrella to serve as your ultimate outdoor companion.